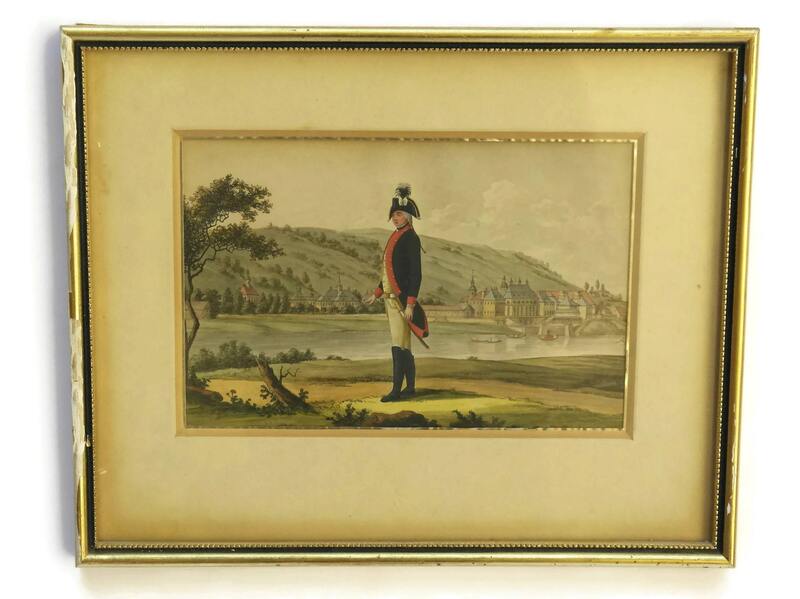 Antique Soldier in Uniform Gouache Portrait Painting in Frame. 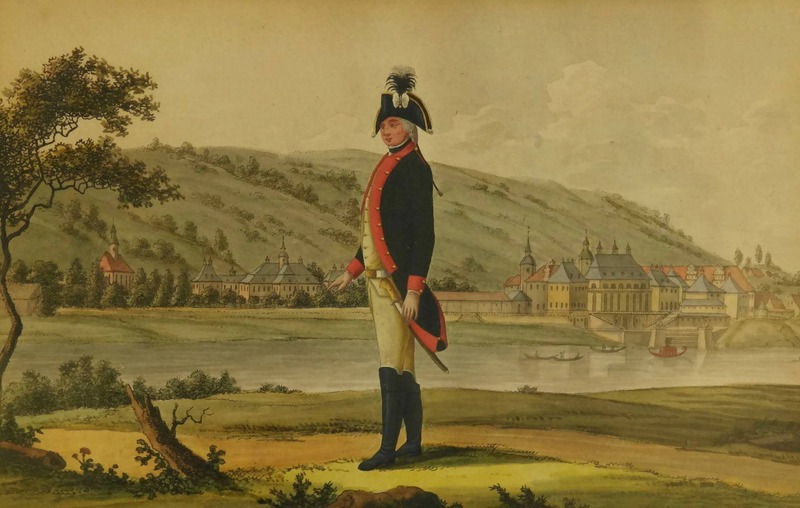 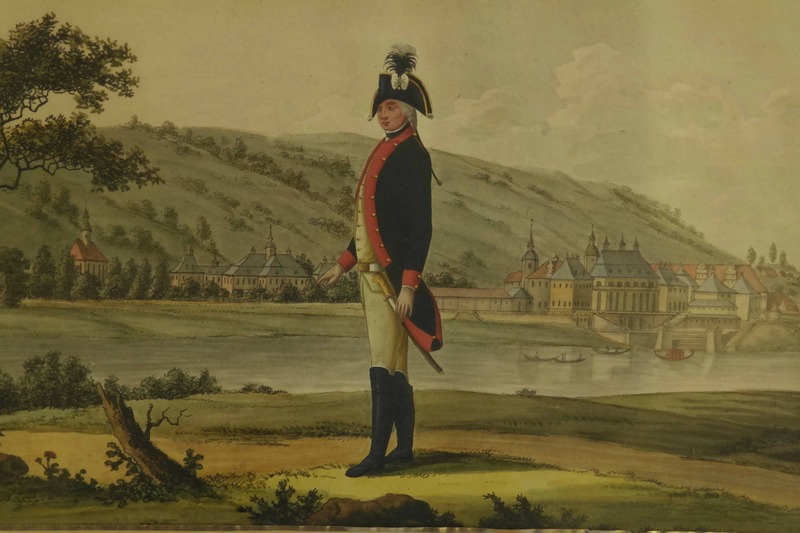 Early 19th Century Military Art. 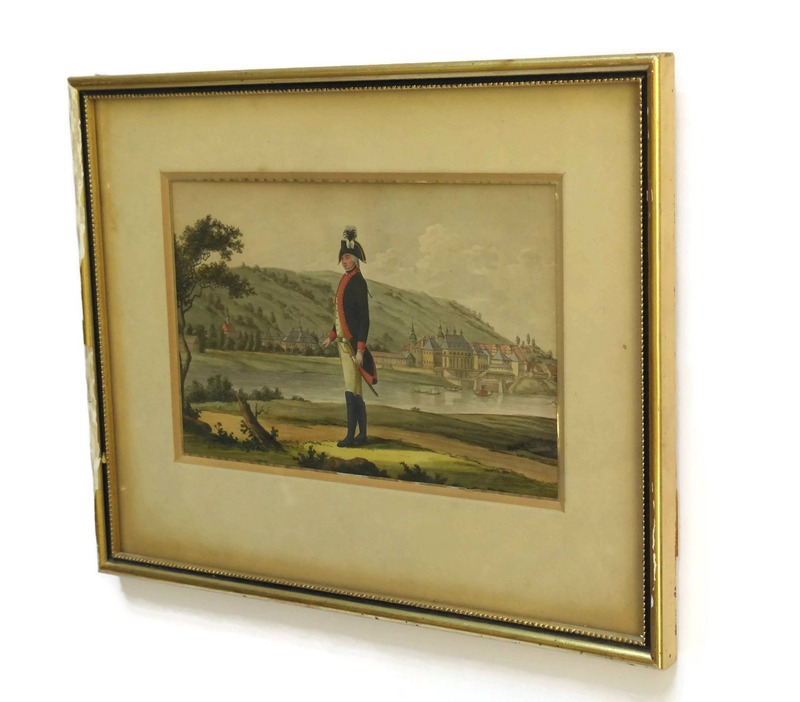 A beautiful antique military portrait painting dating to the early 1800s. 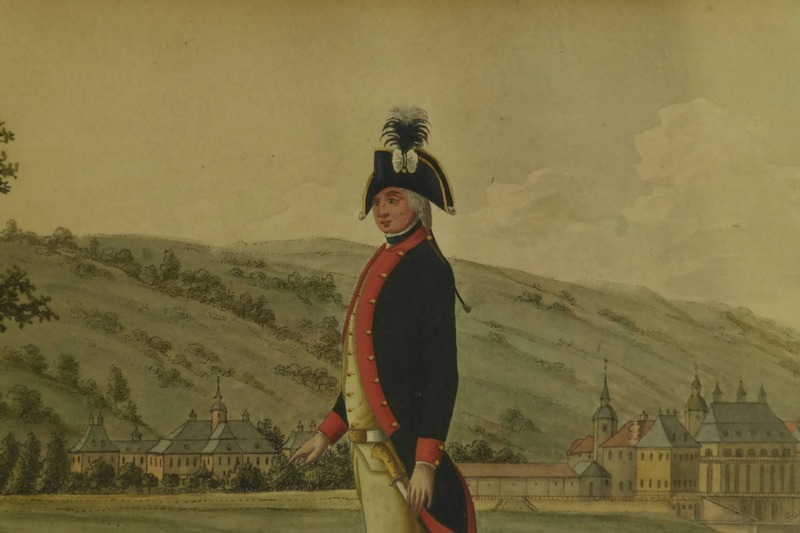 It features the figure of a soldier dressed in magnificent military uniform from the period of the late 1700s to early 1800s. 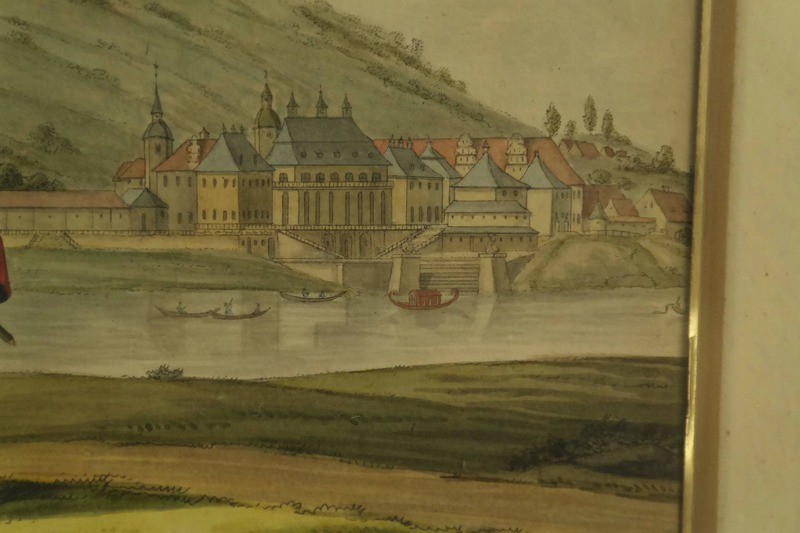 The background features a view across a river of a northern European town. 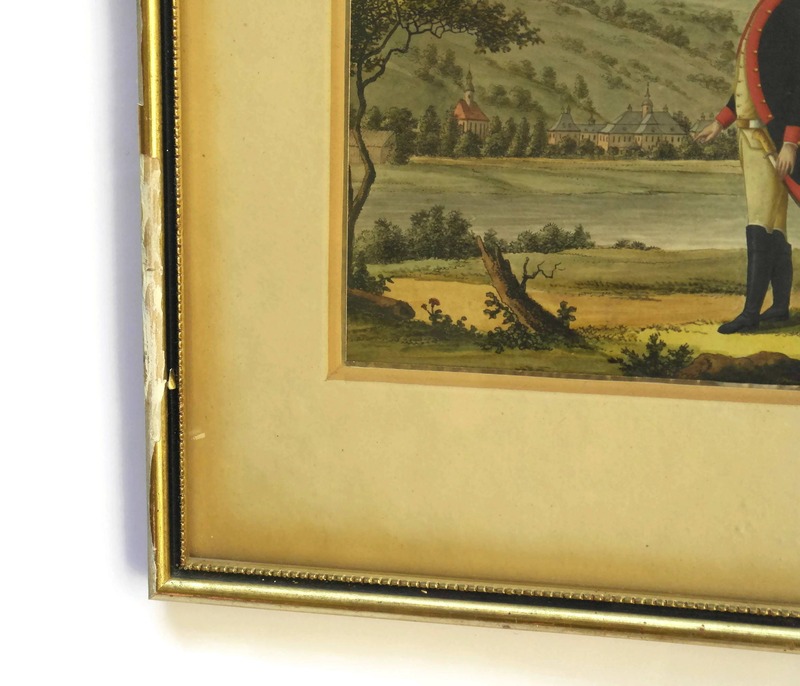 It has been painted in gouache on paper and has been framed under glass in a wood and gesso frame. 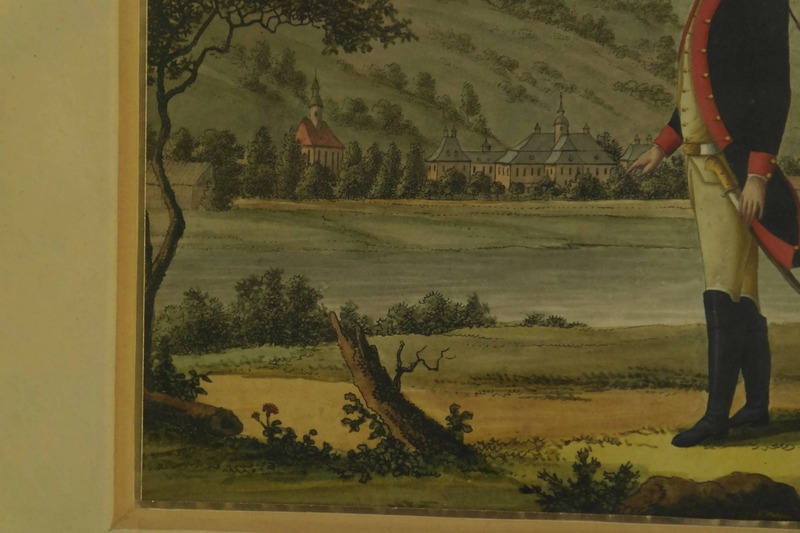 The antique military painting is unsigned. 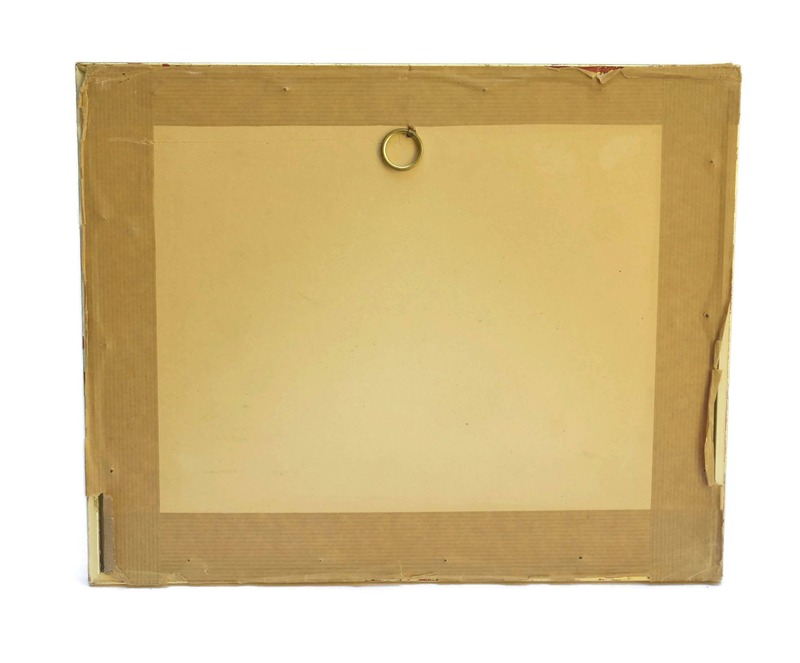 The antique military portrait is in very good condition with some light age marks to the paper. 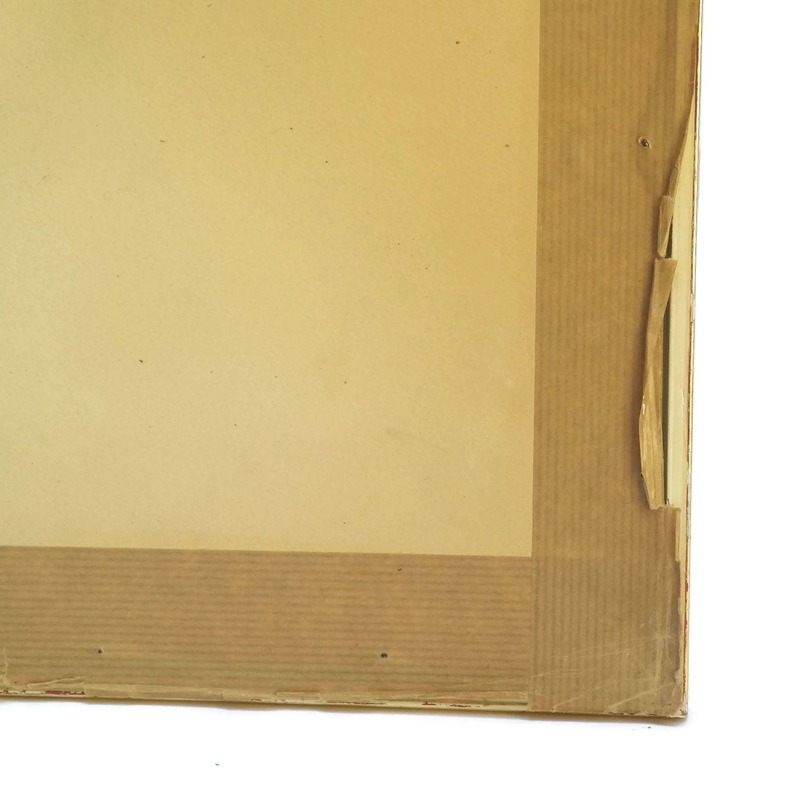 There is wear and flaking to the plaster on the wooden frame and foxing marks to the mounting board surrounding the painting.